For those of you reading from home, this was a week of los contrarios. Big and small. Near and far. Perpetual isolation and sudden compassion. Nascent screaming and involuntary meditation. Rage and humility. Seen and invisible. Boring and exhausting. Entitlement and tolerance. Often all in the expanse of a few hours. I don’t have a pile of shiny happy photo moments this week where I can fake the Internet (and my nostalgic future self) into thinking it is Day 77 of “Look at My Fabulous Adventure in the Peace Corps!” Because, if not obvious from other posts, it is not that kind of gig. I spend too much time unapologetically vice-gripped between locals in the morning, redefining my expectations for personal space. I really miss being able to safely exercise alone. I am hurt when I am not fed yet hurt my host family’s feelings when I feed myself. And most of all, I miss that part of my identity where I am capable of a more generous and positive engagement with the PST-world. I struggle explaining to non-PC friends how it is all going. Or coming up with something positive to share so that Carol and Suzie don’t freak out and stage a South American extraction. It’s good? It’s great? I am glad I am here? I hope to make it to Oxapampa next! PST is absolutely different for every single one of us. I actually submitted a trainee survey response last week “How did you exemplify this week’s theme of ‘Persistence’?” with “Well, I am still here.” I mean, fair. Plus it felt really good to hit send. There are other things to get used to overseas, but these six—the climate, the food, the new community, the loss of language, the lack of amenities, and the loss of routines—have the most immediate, visceral impact. Each one takes a toll, but when they are encountered all at once—which, alas, is the norm—it can be nearly overwhelming. And while your fellow trainees are experiencing these same adjustments, sometimes it can feel like you are going through these experiences alone. 1) So-and-so doesn’t like me (insert: fellow trainee, presentation group, host family) and do I care? No I don’t care. Yes I do care. Ugh why do I care. Dammit. 2) Everything “wrong” is ultimately, at the source, my fault. It is my fault our group didn’t bother to prepare the presentation. It is my fault my family forgot I eat dinner. I need to ask for help, communicate better, or somehow figure out how to not care like (what appears to be) everyone else. 3) I am the mastermind who signed up to relive a worser version of high school. It is true, I did apply, test, interview, get recommendations, and finally accept an invitation to Peace Corps and 300 other people who applied (?) did not. Am I occupying “their” spot? Would they be shiny and happy on the Internet showing off their “Helpies”? 5) Bewildered respect (spliced with resentful rage) that the damn puppy (they train dogs here differently as in, sometimes don’t train their dogs at all) somehow pooped in my locked bedroom while I was gone all day. Devil or feral wizard? That is how big the feelings feel. That is how silly the feelings feel. This is how crazy I think I am. The problem is largely one of scale: we meet new people all the time, but we are rarely in situations where everyone around us is a stranger…. People we know are usually our refuge and recourse when we go through change or otherwise trying times. They are the familiar and the constant we turn to even as things around us are unfamiliar and in a state of flux. But now, in the early days of PST, the people are just something else we have to get used to, part of the problem rather than part of the solution. For the newly baptized intolerant, introverted empath sometimes—and god forbid you actually try and make any proactive or firm plans—people can occasionally turn out to be accidental comfort. This week’s saving grace included: Elaine leaving early for training so I don’t have to wait 45 minutes. Preston and I had a couple moments to genuinely talk on our way home. Edwina made me go for a walk when I was close to taking a tenedor to my retina. A staff member complimented me on my floral tirade in Spanish about not being about to figure out Peruvian locks. (Holy crap maybe I am learning Spanish?!) And I spent the two-mile walk to the Lima to Chosica collectivo with this crew. Yes we got home by 7pm as directed in our Cinderella mandate. …And, if you’re at all normal, you resent it. I am one angry ball of irrationally hostile resentment. Just look at my face when asked to do another absolutely ill-placed condescending dynamica. Most trainees come from jobs where they did things. Now you’re in training, and things are done for you. Even in the most participatory, hands-on training program, you are constantly in situations where someone is providing you with information, giving you advice, showing you how to do something, telling you how to behave and what to say. In short, people are helping you. This is natural enough under the circumstances—it is called training, after all. But if you’ve been a professional, competent in your field, responsible for your own work and even for the work of others, it is new and potentially unpleasant to suddenly feel a loss of control and a dependency on others. For most trainees, training and its associated adjustments will start to take their toll. You may get impatient with people, and lose your sense of humor—and perspective. You may fly off the handle at the drop of a hat, resent almost anything you’re asked to do, especially things you know are good for you. And you’ll feel guilty about all this. Here are these nice people, doing all they can to help you, this great series of learning opportunities designed expressly for your special needs, this lovely host family going out of their way to take care of you. And you’re counting the days until it’s finally over. CRAP WHAT IS THIS WARLOCK MANUAL? Miles. His Name is Miles So He is Obvi Cool. As you encounter the various frustrations of PST and of living in the new country, it’s important to distinguish them…. To that end, here is a list of some of the things that usually affect trainees. Use it to help put your finger on what’s bothering you. Messaging on WhatsApp with other people trying to do homework. Drag my feet finishing writing this blog. Buy some groceries. Hide them in Training Center. Cook and share some comfort food with trainees. Go for a hike and have the expectation plans will change. Play a game of Carcassonne and have the expectation plans will change. Draw a comic about expectation plans will change. Develop a BINGO game about Expectations Changing. Meditate about Accepting Expectations Changing. Say yes to going to the new cake shop. Thank them for inviting me. Stick around for a moment with my host family even when it is uncomfortable. Secretly flush papaya smoothies down the bathroom sink. Have a personal conversation with a staff member. Read about deeply rich, recent, and complicated Peruvian History. Ask someone else how they are doing, however hard. Tell someone I see them. In other news, Peru 31 visited LUM in Lima this weekend. LUM is a free memorial for human rights and social tolerance, located in Miraflores, Lima. It is a beautifully designed and engaging educational museum, primarily dedicated to Peru’s recent history of two decades of civil unrest terrorism as well as current atrocities committed against LGBTQ citizens. I chose the tour in Spanish and the impact was not lost in translation. I would not do justice in adequately summarizing the extent and impact of the Peru’s recent history, but it is an aspect that is very present in the soul of the population, especially fresh in memory for those born before 2000. 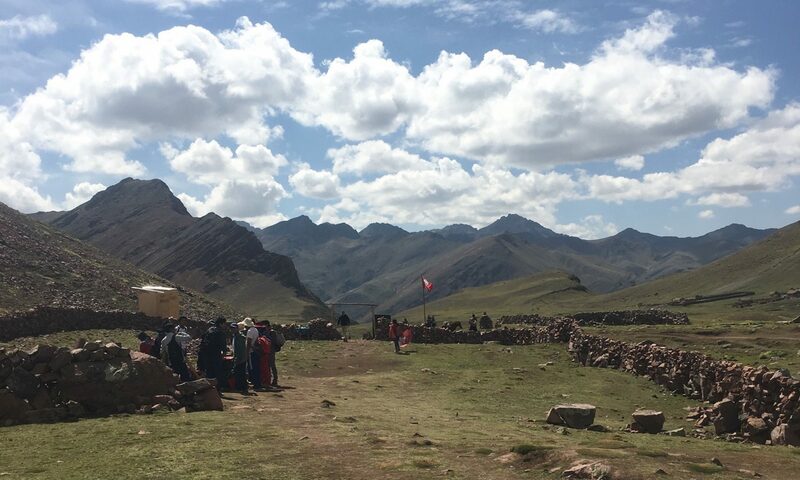 We learned, and prepared for, recent Peruvian history this week in training to be mindful of these stories, perspectives, and deep wounds before entering our future communities. It was sad, brave, veridad, ugly, and important. Relevant. Still here. And suddenly feeling left out, blown off, lonely, or complaining missing out on two more pounds serving of rice and potatoes is put smackdown into perspective. Los contrarios. It’s okay to be both. Cries of escape and survival transcribed in native languages. I see you too, Peru. All good vibes sent to you Jess. We get caught up in our minutaie and you bring us home. Love! Incredibly thoughtful, insightful, raw, and true, Miss Jess. Thank you for making these updates happen. I can’t imagine them being easy, though sometimes cathartic, I hope!!?!!! Love and miss you from Wrangell town. When do you move to your community?? And will you have a somewhat reliable, yet probably incredibly s l o w snail mail system??? Thanks CH! I have had to scramble since returning from site exploration to have something to write – simply to keep up my “game” of keeping these weekly posts going. Love and miss you too. I have NINE days until I swear-in and take a bus to Oxapampa. Re: mail… well, a friend sent a letter to my address in Oxa as a test case three weeks ago. I will let you know!